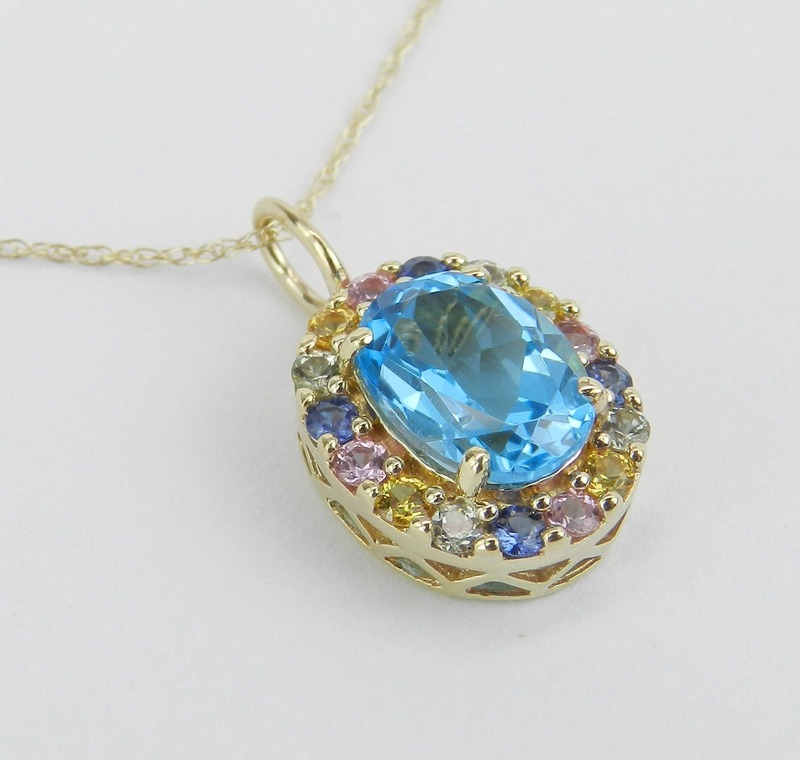 Yellow Gold Blue Topaz and Multi Color Sapphire Pendant Necklace with Chain. This pendant is set with 100% Genuine Natural Gemstones. 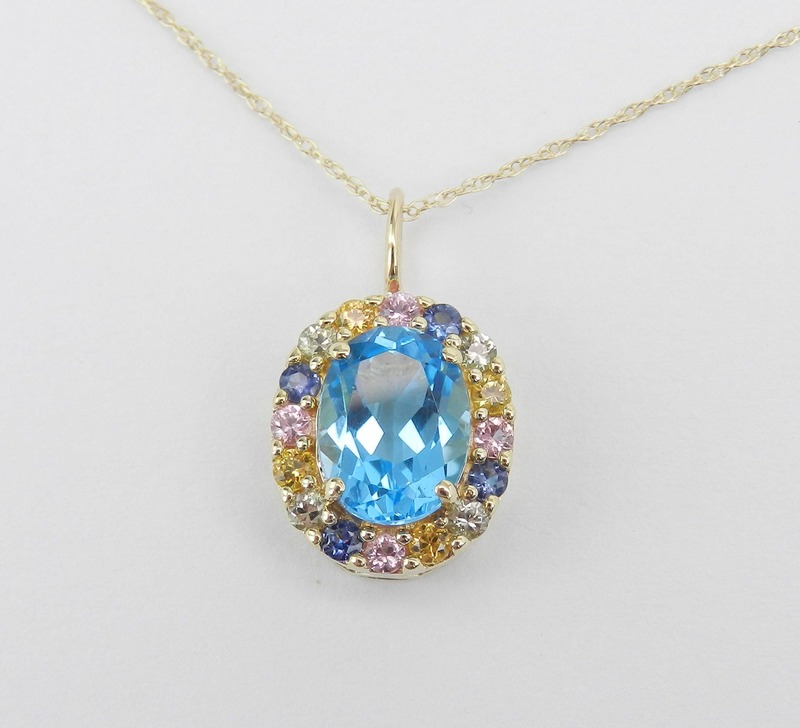 There is an Oval Blue Topaz set in the center of this pendant. 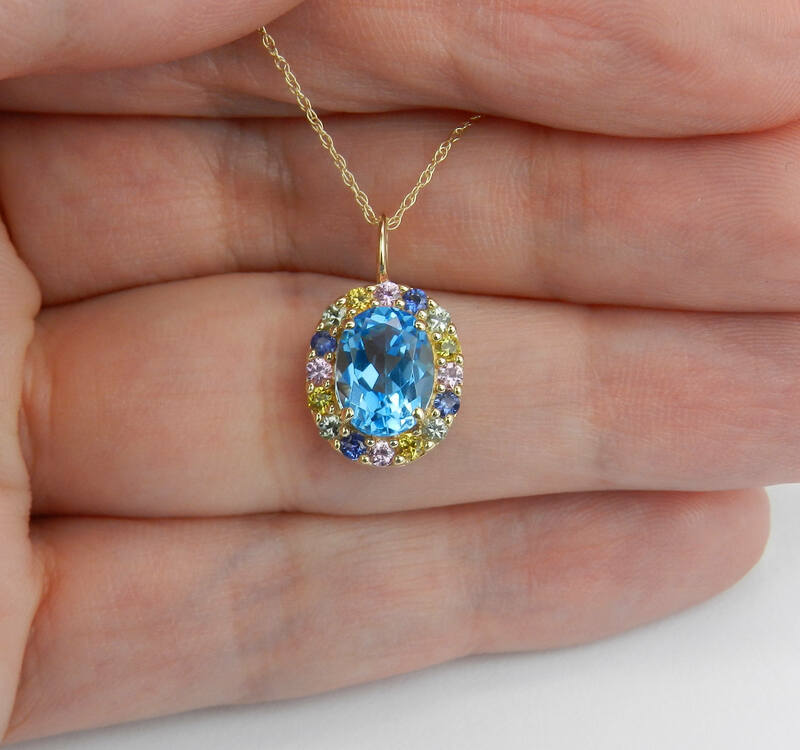 This Blue Topaz is a Swiss Blue color, measures 9 X 7 mm and weighs 1 1/2 carat. 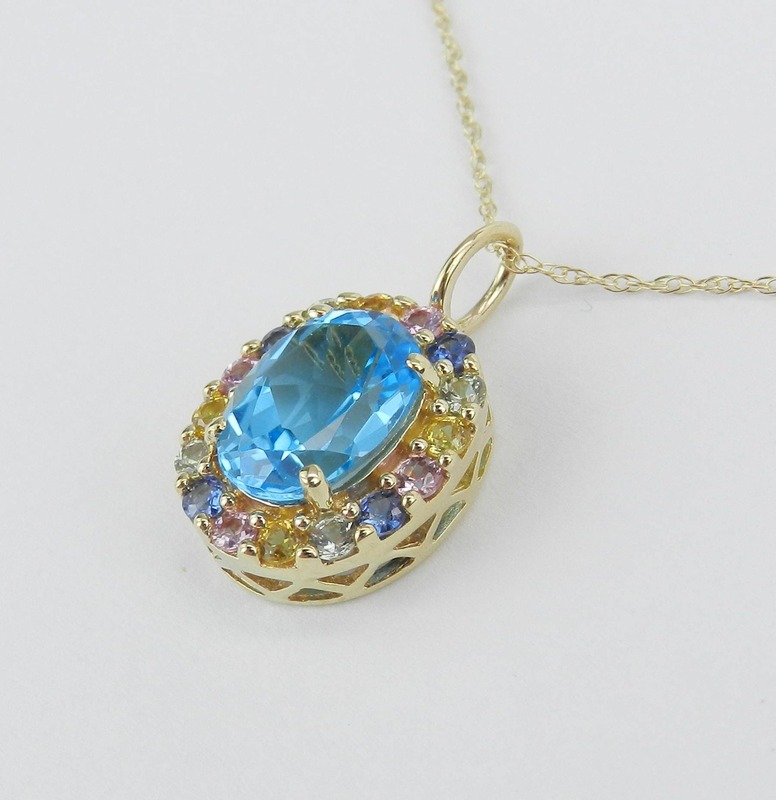 There are Green, Yellow, Pink and Blue Sapphires set in a halo design in this pendant. These Sapphires amount to a total weight of 1/2 carat. This pendant is 10KT Yellow Gold and comes with an 18" 10KT Yellow Gold chain. 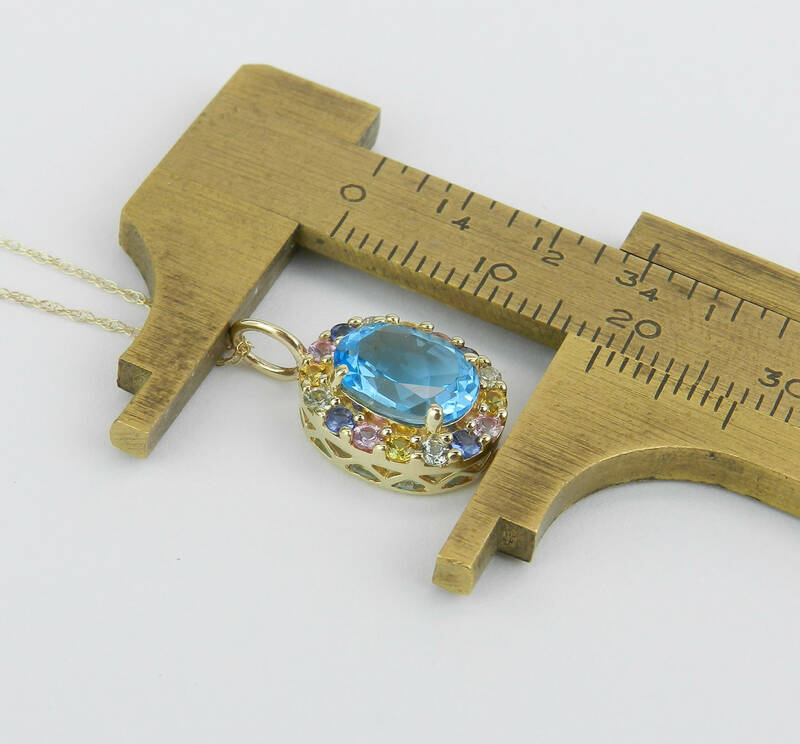 Both the pendant and chain weigh a total of 2.4 grams and the pendant measures 13 X 11 mm without the bail. 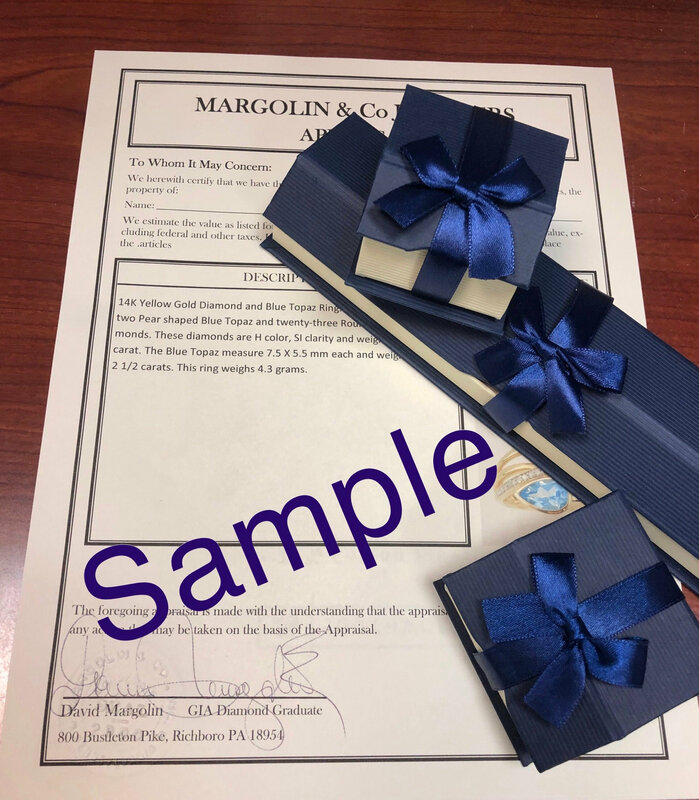 This necklace will be accompanied by an appraisal written by a GIA Certified Diamond Grader with the retail replacement value of $1,375.00. I will ship this necklace promptly in a beautiful gift box.